We’ve been out to the Dominican Republic ourselves to meet the Fairtrade co-operative Banelino. Everyone gets a fair deal, with good working conditions and pay for farmers and workers alike. Imported by boat (never airfreighted), it takes four or five weeks for the bananas to travel from the tree to your fruit bowl – by which time they should be just ripe. Rather than pursuing the perfect bend or length, varieties are chosen for their sweet, creamy flavour. 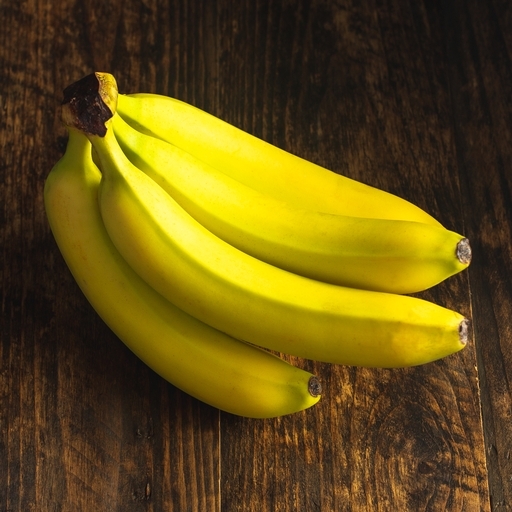 These organic bananas are great in healthy smoothie recipes and banana bread. Of course these organic bananas make a brilliant portable snack – nature’s packaging at its best. Don’t let overripe bananas go to waste; they mash best when their skins begin to speckle. Use in banana bread, muffins or cakes, or blended into smoothies. Bananas will continue to ripen in a fruit bowl and will cause other fruit to ripen faster. Grown in the Dominican Republic. Banelino is a cooperative of small-scale banana farmers in the Dominican Republic. They work together to compete with privately owned plantations, and fund healthcare and education for the farmers’ and workers’ families, including one of only two special needs schools in the country. The farm workers there receive a fair wage, have accommodation provided and are given clothing and tools (unlike many banana plantations, where workers don’t earn enough to live and support their families).